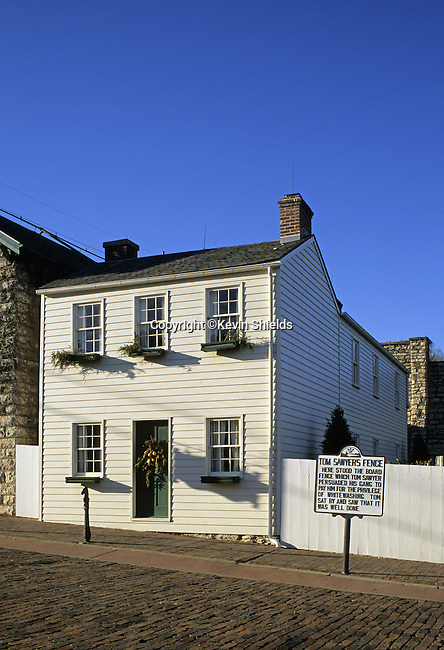 Mark Twain Boyhood Home, 208 Hill Street, Hannibal, Missouri, USA. Owned by the city and open to the public since 1912, it was here that Mark Twain (Samuel Langhorne Clemens) grew up. He drew on childhood memories of Hannibal while becoming one of America's best known writers.